What Does Guaranteed Rent Mean For Landlords? Did you know that there are over 1.75 million landlords in the UK alone, servicing a demand of over 4.3 million household’s worth of tenants? The figures are pretty staggering, but the bottom line is that it’s a good time to be a landlord. But the downside of being a landlord is that unless there is someone in your property, you aren’t earning money, you’re losing it. And even with that 4.3 million tenant figure, there are still over 600,000 empty properties across the country. 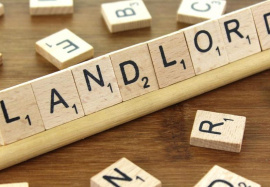 So how, as a landlord, can you protect yourself against loss of earnings while your property is empty? Northwood has the answer. In the usual arrangement, an estate agent would be responsible for finding you new tenants as quickly as possible. That’s it. This means most estate agents don’t have a huge incentive to find you a good tenant as quickly as possible. Since most agents make more money when the tenants aren’t good, this isn’t always their priority. But at Northwood, we believe in consistency and protecting your livelihood, and that means ensuring you will always be generating a return from your property. That’s why we created the ‘guaranteed rent’ scheme for our landlords. Guaranteed rent essentially means that Northwood becomes your ‘tenant’, providing you with a fixed monthly income even if your property is empty. Northwood will then sub-let the property, manage finding tenants and make rental payments to you, regardless of whether there is a tenant in the property at the time. This means that you can relax and get on with your busy life. What’s Included In Our Guaranteed Rent Service? Our guaranteed rent service is one of the most popular options for landlords for a number of reasons, but mostly because it is a simple, easy way to ensure you get a monthly income. And it doesn’t necessarily cost you any more either. In fact, we are often able to pay more over a 12-18 month period because there are no fees, no commissions and no empty periods. So now, instead of watching your bank balance go down when your property is empty, or scrambling around to try and find a tenant for your property, you can sit back, relax and carry on as normal knowing that Northwood is paying your rent every month. With over 85 branches across the UK, over 20,000 landlords are already enjoying the security of Northwood’s guaranteed rent service. If you would like to find out more about how guaranteed rent could benefit you, or to enquire about getting started, get in touch with us today for your free market appraisal and property consultation. And remember, there are no guarantees in lettings, except those offered by Northwood!